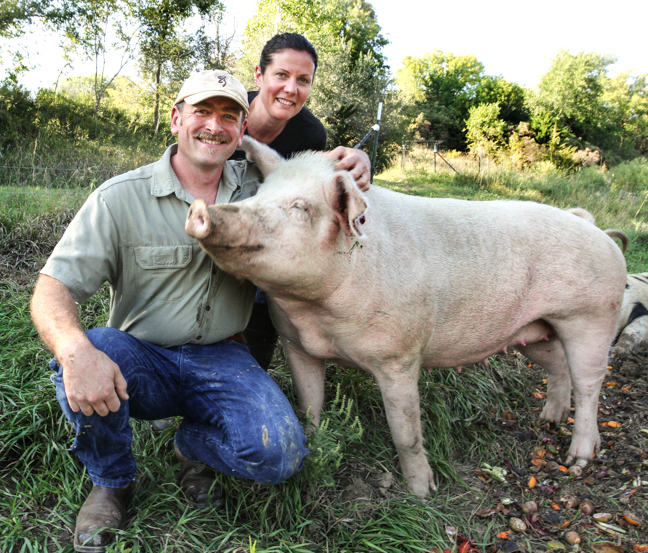 Ben and Michelle Godfrey raise pigs in pastures on their sustainable farm near Fort Calhoun. 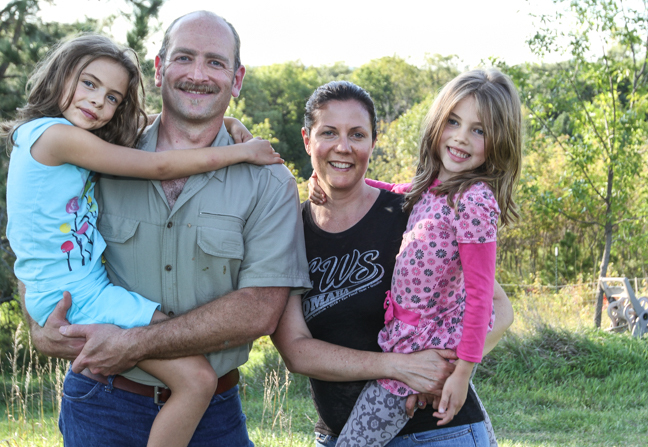 When Ben and Michelle Godfrey moved from mid-town Omaha to their Washington County acreage, Ben Godfrey discovered his passion for pigs. “I haven’t ever found anything that I felt passionate about this way, Ben told online editor and Enterprise reporter Leeanna Ellis. When Ben began reading about how to take care of an acreage, he came across the sustainable community that talked about using pigs as groundbreakers. Instead of using a tractor and a harrow to turn the land Ben was told to let the pigs graze upon it for a year. “Let the pigs root it up: let the pigs fertilize it,” Ben said. ” So we did. Leeanna’s story about Ben and Michelle’s sustainable farm and my photos are featured in the the Enterprise Publishing Agriculture Outlook for fall, 2014. 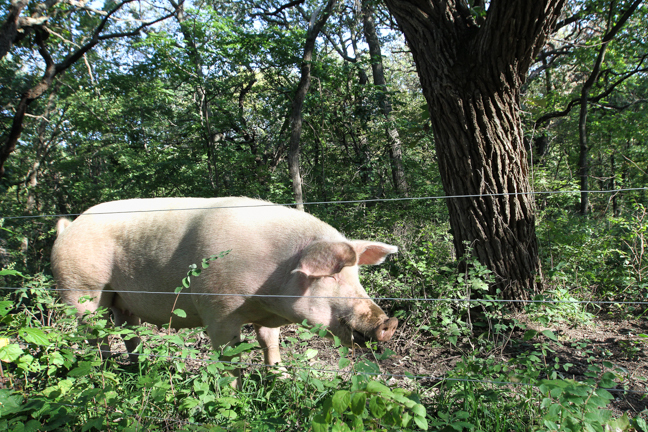 A pig on Ben and Michelle Godfrey’s farm roots around in a wooded pasture near Fort Calhoun. 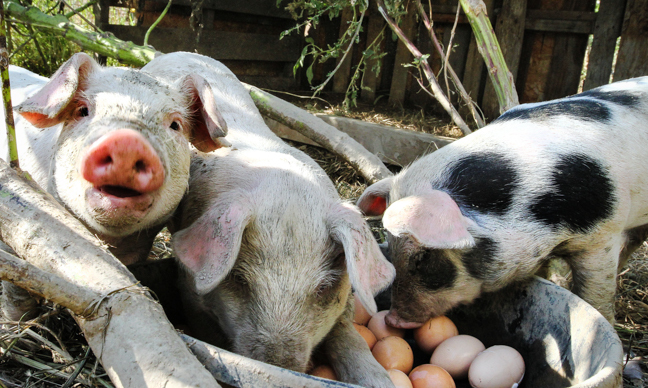 Three of the seven pigs in the Godfrey’s fist litter of piglets eat a dinner of hard-boiled eggs. 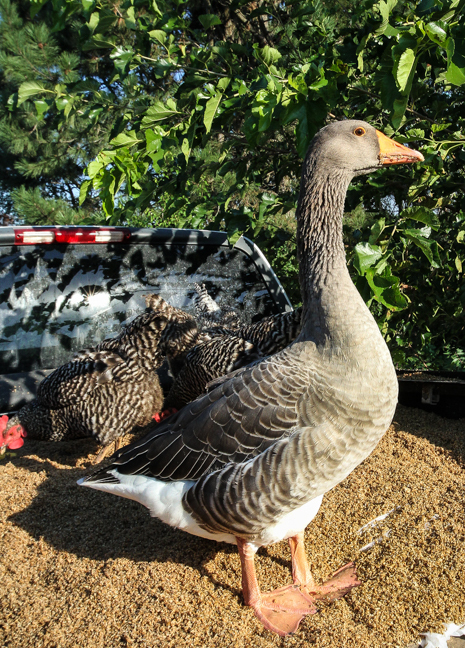 A “watch goose” keeps an eye on the Godfrey’s free range chickens and squawks when a predator is near. Ben and Michelle with their daughters, Isabel, 7, and Clara, 6. Previous Mayor Realph casts tie breaking vote to approve Archive participation in new library.